May I present the Prophet of the Waaaagh! himself: Ghazghkull Mag Uruk Thraka! 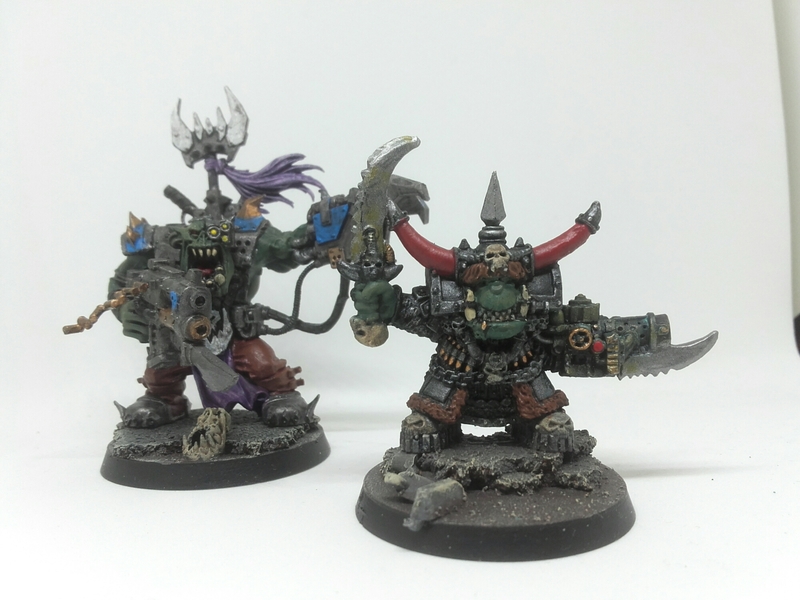 I have him in here beside my Black Reach Warboss, just to show the size difference. 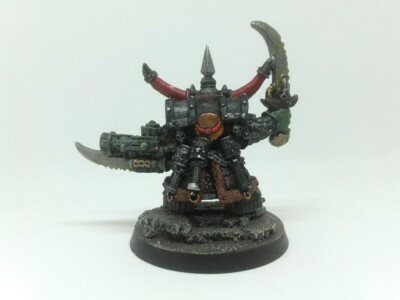 Back in ’92 this was the biggest Ork you could get and it feels it. That bad boy is metal. There is something to feeling the weight of a model in your hand like that. Now I am only a couple of hours into painting this fella but I am really enjoying it. Lots still to do, thinking of trying the black and white cheque pattern across the shoulder pads. As you can see I gave him a little boost up with two layers of cork board to create some extra height. This also helps to disguise the miniatures slotta base, as I could not bring myself to snip it off. Do you think I should add a banner pole as well? I have a small collection of Orks I will be assembling to a 1000 point force, for fun multiplayer games. So far I have about 10 nobs, 25 boys and 6 Deffkoptas. It is a small start, buy every Waaaagh starts somewhere. Down the line I would love a few options, but time will tell.